OKLAHOMA CITY - “HELP is on the Way” is a half-day event Saturday, September 17, created for central Oklahoma foster and adoptive families*--and those considering it--to connect them with the many resources available to help ensure success in their journey. This free event is sponsored by The Anna’s House Foundation and the Office of Faith-Based and Community Initiatives and will be held at Heritage Presbyterian Church, 14500 N. Western Avenue in Oklahoma City. A 2007 study done in Oklahoma cited over 21 percent of foster homes will quit in the first year; over 75 percent quit by year five. One of the most important factors in the success of any foster home is access to resources and support. HELP is designed to fill in that gap of knowing about the many available resources. Dr. Deborah Shropshire, director of the Fostering Hope Clinic, the Honorable Judge Richard Kirby, along with several others including Elizabeth and Greg Harkins, co-founders of The Anna’s House Foundation will be presenting. Topics include: “The Foundations of Infant Mental Health;” “Home Educating Your Children;” “Fostering the Medically Fragile Child;” “Courage in the Courtroom;” “Advocating for Your Foster Child;” “Kittens with Claws-Fostering Children with Attachment Disorders," and several others. “HELP” registration begins at 8:30 a.m. and the program will be held from 9 a.m. – 2 p.m. and includes lunch. The event is free but registration is required. Childcare is available only with advanced registration. 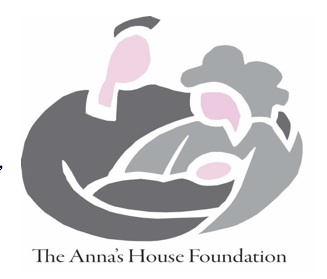 For more information or to register go to: http://www.annashousefoundation.org (link opens in new window). This is a memorandum to parents and guardians and private schools participating in the Lindsey Nicole Henry Scholarships for Students with Disabilities Program Act. It explains the procedure for applying for a scholarship beginning August 26, 2011. HB 1744 is a law (70 S.D. § 13-102.2) that amends the LNH Scholarship Act beginning August 26, 2011. 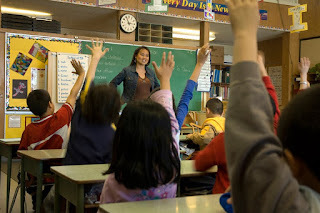 Section A of the Act allows the parent/guardian of a public school student with a disability to exercise their parental option and request to have an LNH Scholarship awarded for their child to enroll in and attend a private school, if the child was on an Individualized Education Program (IEP) prior to the request and has spent the previous school year in attendance at a public school in the state by being reported by a school district for funding purposes during that year. Exceptions will apply to a student who is a child of a member of the United States Armed Forces who transfers to a school in this state from out of state or from a foreign country pursuant to the permanent change of station orders. Section B of the Act requires the parent/guardian to notify the OSDE directly of the intent to participate in the LNH Scholarship program. The parent/guardian must make this request by completing the application process annually to provide necessary eligibility and accountability information. 1. To be eligible to participate in the LNH Scholarship for Students with Disabilities Program, a private school will notify the OSDE of its intent to participate. The notice shall specify the grade levels and services that the private school has available for students with disabilities who are participating in the scholarship program. The OSDE will approve a private school as eligible to participate in the scholarship program upon determination that it meets specified requirements. 2. The parent must obtain acceptance for admission of the student to a private school that is eligible for the program as provided in subsection in the Act. 3. 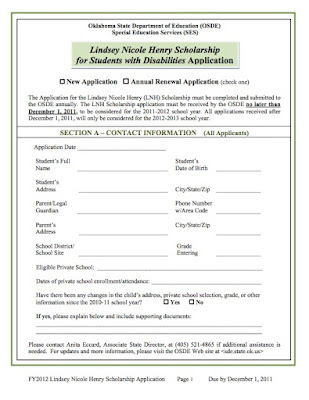 The parent/guardian will notify the OSDE directly of its request for the scholarship by submitting the Lindsey Nicole Henry (LNH) Scholarship Application for new applicants or the Annual Renewal Application and required documents to the OSDE by December 1 of the school year requested. 4. The OSDE will verify the application information and complete the calculation request, notifying the parent and the private school of the calculated amount of funds available for the scholarship within ten (10) days after receiving the scholarship request. The maximum scholarship granted for an eligible student with disabilities will be the amount calculated or the amount of tuition and fees for the private school, whichever is less, minus up to two and one-half percent (2 1⁄2 %) of the scholarship amount that will be retained by the OSDE as a fee for administrative services rendered. 5. The private school will send a quarterly verification of the child’s continued enrollment and attendance at the private school and a quarterly invoice to the OSDE-SES. Payments will be made at the end of each quarter after attendance is verified. 6. Upon issuance of a scholarship warrant, the parent/guardian to whom the warrant is made will restrictively endorse the warrant to the private school for deposit into the account of the private school. The OSDE will not be responsible or any additional costs associated with special education and related services incurred by the private school for the student. 7. The private school will submit an annual, notarized, sworn compliance statement to the OSDE certifying compliance with state laws. 8. The OSDE will cross-check the list of participating scholarship students with the public school enrollments prior to each scholarship payment to avoid duplication. The LNH Scholarship Application for New Applicants and Annual Renewal Application with supporting documents must be submitted by the parent/guardian to the OSDE by December 1 of the year that parent/guardian is seeking the scholarship, beginning with the 2011-2012 school year. The application process must be completed each year that the parent/guardian chooses to participate in the LNH Scholarship. The LNH Scholarship Application is available online to parents/guardians on the OSDE Website at <www.sde.state.ok.us>, and can also be obtained by contacting the OSDE, Special Education Services (SES). The application can be downloaded and mailed or faxed to the OSDE for the parent/guardian’s convenience. Applications received after the December 1 deadline will be considered for the following school year. If you have additional questions about the LNH Scholarship Application process or the LNH Scholarship Reimbursement, please contact me, (405) 521-4865. Below is a memorandum issued by the State Department of Education to superintendents regarding the Lindsey Nicole Henry Scholarships for Students with Disabilities Program Act. House Bill 3393 is a law (70 S.D. § 13-102.2) that became effective August 27, 2010. The bill created a scholarship for use at a private school accredited by the State Board of Education for students with Individualized Education Programs (IEPs). HB 1744 amends the LNH Scholarship Act. 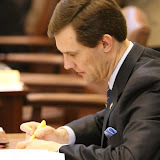 HB 1744, subsection N, allows the OSDE to reimburse parents for scholarship funds they should have received; and then allows the OSDE to bill or adjust the state aid of districts that failed to make required scholarship payments, if a district did not comply and pay the scholarship funds as contemplated by statute. If you are a person with disabilities over six years of age, you can purchase a $32.99 ticket for Frontier City Theme Park for just $12. Sunday, October 16, 2011 from noon till 10 p.m. has been set aside for people with disabilities. For more information call 800-299-2811 or 405-282-2811. A portion of each ticket purchased will be donated to Make Promises Happen camps for people with disabilities. For more information on this or other events or programs visit the Oklahoma Office of Disability Concerns at http://nelsone.ws/oz1dV0. OKLAHOMA CITY – In 45 minutes, Oklahoma City school teachers laid claim to 250 reams of white copy paper. It took even less time – 15 minutes – for teachers to virtually swipe up 52 bottles of hand sanitizer. And they didn’t forget the crayons, markers, rubber bands and other items they need in the classrooms available for order free every month through Teachers Warehouse. Teachers Warehouse, a program of The Foundation for Oklahoma City Public Schools underwritten by Chesapeake Energy Corp., Devon Energy and OG&E, allows teachers to order supplies via a web site on a monthly basis. They did so in record numbers this month. This week and next week, Teachers Warehouse will distribute more than $37,000 in supplies to 669 teachers at 81 schools in the Oklahoma City School District. 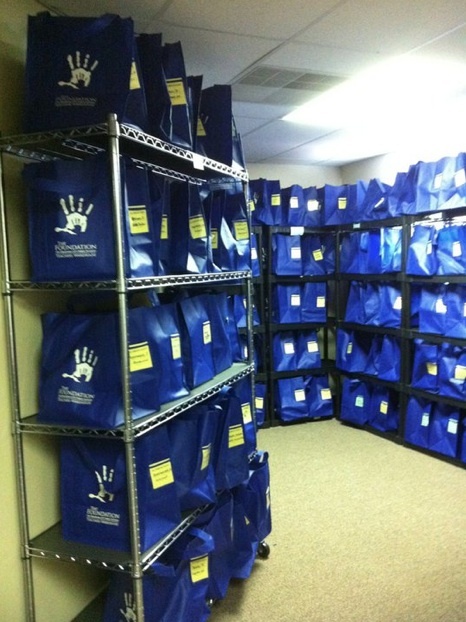 The supplies are expected to impact more than 14,000 students. The numbers demonstrate the warehouse is reaching its goal of bridging the gap between what schools have and what students and teachers need to be successful despite growing demand. The value of August orders represents a 73 percent increase compared to a year ago and 44 percent increase over last month. Since its inception three years ago, Teachers Warehouse has distributed more than $688,000 in supplies. Volunteers log about 600 hours per month conducting inventory, unloading and sorting donations and packing orders. For more information about donating money or supplies to Teachers Warehouse or to volunteer, please visit www.okckids.com or call 405.879.2007. Created in 1984, The Foundation for Oklahoma City Public School is a nonprofit organization whose mission is to create community ownership in the success of every child. The Foundation is the winner of the Oklahoma Foundation for Excellence’s 2010 Outstanding Local Education Foundation Program Award for Competitive Edge, 2009 Outstanding Local Education Foundation Program Award for Teachers Warehouse, 2006 Outstanding Local Education Foundation Program Award for Partners in Education, the 2000 Medal of Excellence Award, and the 1998 Award for Nonprofit Management Excellence. 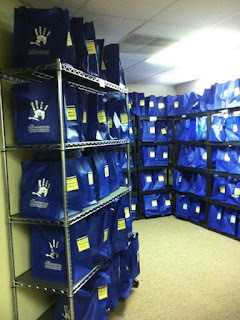 Visit www.okckids.com for more information on their programs and volunteer and giving opportunities. OKLAHOMA CITY – The Task Force on State Tax Credits and Economic Incentives heard presentations on some of the state’s largest tax credits and incentives today. State Rep. David Dank, chairman of the task force, said the task force is concerned that the Oklahoma Capital Investment Board Tax Credits are being used by out-of-state businesses when they were created to bring jobs to the state. The Oklahoma Capital Investment Board has made commitments to 19 venture funds. More than $130 million has been invested. Dank said the board will have to do a better job of demonstrating exactly how those funds have been spent if it expects to receive future funding. The task force also examined the Small Business Venture Capital Formation Incentive Act and the Rural Venture Capital Formation Incentive Act. “We want to be able to understand in detail how each and every one of these tax incentives are being used and how they have benefited Oklahoma,” Dank said. Is the Oklahoma Education Association implementing belt-tightening to show solidarity with its members? A look at its Internal Revenue Service filings from 2005 to 2010 shows, not so much. OEA’s payroll for seven centers has risen about $182,000 from the 2005-06 tax year to the 2009-2010 tax year, to about $4.4 million, according to Internal Revenue Service records. Several professional staffers have quit, been fired or retired. In essence, the union has continued to hand out staff and executive raises and maintained pricey benefits, while 2,000 teachers have lost jobs. Last year, the OEA lost over 700 members due to the deteriorating public education environment, according to CEO Lela Odom. But the perks of working at the union remain lavish. And top executive salaries and perks have skyrocketed. Professional staff members receive company cars. They don’t actually own them, but they take them home at night. The union pays gas, repairs, maintenance, insurance and replaces them after a few years. Plus, an OEA insider admits the union’s staff continues enjoying free health, dental and vision coverage, potentially worth tens of thousands of dollars. That means quite a few professional staffers are enjoying pay, insurance benefits, and auto perks worth $100,000 or more. The website for Government Technology magazine contains a story about the effective use of social media by local governments and emergency agencies following the east coast earthquake yesterday. "The emergency situation also demonstrated first responders’ and city officials’ sophisticated use of social media, especially Twitter. Many law enforcement agencies and emergency personnel began tweeting within minutes of the earthquake in order to disseminate information to the public." "Initial reports also indicated that cell phone service was down or disrupted in many areas affected by the earthquake, and in turn the public turned to social media to get information." At a Thursday afternoon meeting in Oklahoma City, leaders of several organizations in early childhood education advocacy or services gathered to read (and, in the end, endorse) policy recommendations that will be forwarded to Governor Mary Fallin this fall. As the recommendations were discussed, however, a new public opinion poll documented that many voters are dubious about further expansion of government programs to provide early childhood education. Since 2010, OPSR has carried on the duties of the State Early Childhood Advisory Council (SECAC). The 2012 policy recommendations remain in draft stage, and can be read on the website of Smart Start Oklahoma. Leaders of Smart Start Oklahoma told CapitolBeatOK the draft document will include comments made at Thursday's meeting, and that the text of the recommendations will not be finalized until August 31. 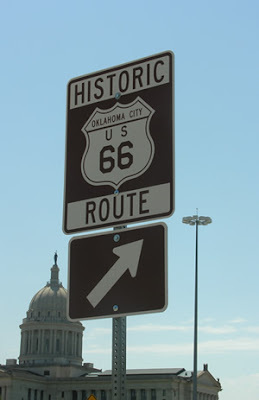 State Sen. David Holt praised completion of an initiative to place signage marking historic Route 66 throughout Oklahoma City. The project was spearheaded by Sen. Holt and Oklahoma City Mayor Mick Cornett and was a joint project of The City of Oklahoma City and the Oklahoma Department of Transportation. The project began in 2007, after pop legend Paul McCartney’s Route 66 road trip through Oklahoma City brought local attention to the continuing global draw that is “the Mother Road.” While serving as Chief of Staff to Mayor Cornett, Holt began exploring what could be done to better mark Route 66 within Oklahoma’s capital city. There are over 23 miles of Route 66 within the city limits of Oklahoma City, but there were only half a dozen signs in the entire city marking Route 66, five of which were at one intersection. The City chose to mark the route that it had previously named the official Route 66 Scenic Byway. This route is largely the one used during the heyday of Route 66 (1929 – 1954). From west to east, it follows N.W. 36th Street to the N.W. 39th Street Expressway, briefly follows Interstate 44, turns south at May Avenue, turns east at N.W. 23rd Street, turns north at N. Lincoln Boulevard, briefly follows Interstate 44 again until turning north at Kelley. Route 66 then leaves Oklahoma City at just north of Memorial Road before coming back into the City for 3.5 more miles east of Arcadia along N.E. 192nd Street. Oklahoma City’s Public Information Office created a design for an Oklahoma City-specific Route 66 sign, one that honors the traditional brown historic marker, but places “Oklahoma City” within the shield. Holt worked with Mike Hickey, President of the Oklahoma Route 66 Association, to identify the landmarks that would receive their own identifying signs. Those landmarks are the National Cowboy and Western Heritage Museum, the State Capitol, the Gold Dome, the Milk Bottle, the Lake Overholser Bridge, and Route 66 Park. Welcome signs also mark entrances to Oklahoma City along the route. Oklahoma City’s Streets, Traffic, and Drainage Maintenance Department placed Oklahoma City’s signs. After being elected to the Senate in 2010, Holt worked with ODOT to place the directional signs needed at the two locations in Oklahoma City where Route 66 follows Interstate 44. After some final adjustments over the summer to ensure that drivers could navigate the route through signage alone, the initiative, four years in the making, is now complete. OKLAHOMA CITY - It is widely understood that a free market economy has many variables on which growth is dependent. Less understood is the impact of the intangible determinant called confidence – how people feel about their financial situation, business and the direction of the country. Lately, there has been a great deal of attention focused on this translucent and sometimes irrational economic variable. Such discussions center on how recent events affect public confidence. The consensus is that insufficient fiscal policies, the credit downgrade, debt problems here and abroad, geopolitical events and volatility in the stock market have lessened consumer, producer and investor confidence and have contributed to anemic GDP and job growth. An economist from Moody’s rating agency blamed the current economic malaise on a “crisis of confidence.” The fear is that the negativity will create a self-fulfilling prophecy resulting in a vicious downward cycle and another recession. After little more than a year this blog had its 30,000th hit on Friday. I'm glad somebody has been taking a look. I've enjoyed posting about issues I'm working on at the Capitol or otherwise find find interesting and I hope the information is interesting and helpful to you. 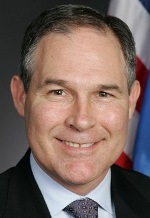 OKLAHOMA CITY – Attorney General Scott Pruitt Friday questioned a recent recommendation by the Oklahoma Pardon and Parole Board to commute the sentence of a six-time felon, calling the decision a stab at public safety. Yarbrough was sentenced to life without parole in 1997 after being convicted of his sixth felony. He was arrested after three drug deals in an undercover drug operation by the Kingfisher County Sheriff’s Department led to his operation. A search of Yarbrough’s home found marijuana, drug paraphernalia, a notebook with logged drug sales and 38 grams of cocaine – 10 grams more than the necessary limit for trafficking. 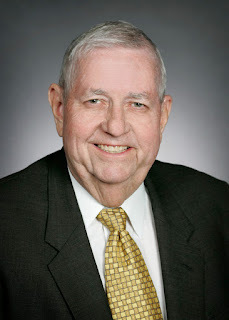 Despite the sentence of life without parole – which typically does not come before the pardon and parole board – board members reviewed Yarbrough’s case. On Wednesday, they recommended the governor commute the sentence to 42 years. ACT test data for the 2010-11 academic year in the United States became available early today (Wednesday, August 17). A review of the information as provided by ACT, Inc. puts Oklahoma's graduating seniors who took the examination in roughly the same place their predecessors have garnered for most of the past two decades – below the national average, and near the middle of the regional average in most categories. While reading and English scores in Oklahoma fall just a bit below the national average, the state comparatively “tanks” in Mathematics and Science. In sum, Oklahoma students taking the ACT test continue to rank below the national average. The composite score for the 76 percent of graduating state high school seniors who took the test was 20.7, while 21.1 is the national average. The Sooner State’s students fell in the mid-range among the cluster of regional states. In Kansas, where 79 percent of graduates take the college preparatory test, the composite score was 22 percent. In rank order, the other neighboring composites (and in parentheses, percentage of graduates taking the exam) were: Missouri 21.6 (71), Texas 20.8 (36), Colorado 20.7 (100), Arkansas 19.9 (91), and New Mexico 19.8 (72). In nearby Louisiana, where the border does not touch Oklahoma, 100 percent of students take the ACT. The composite score of students in the Cajun State was 20.2. Graduating high school students in Oklahoma continued to take the ACT in high numbers, far above the national average of only 49 percent who took the widely (but not universally) accepted benchmark of college readiness. Often invoking Scripture such as Galations 6:2 – “Carry each other’s burdens, and in this way you will fulfill the laws of Christ” – these organizations in effect are nonprofit cooperatives. An estimated 100,000 people nationwide have joined such bill-sharing groups, which act as an organizational clearinghouse for information between participants who have financial, physical or medical needs and participants who presently have the ability to pay for the benefits of those who have needs. 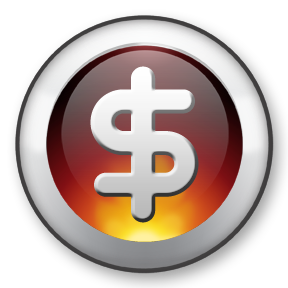 Members deposit monthly fees into an account and managers of the organization distribute the funds to pay bills incurred by individual members. Many members of these organizations say they also receive spiritual support from their health-care sharing ministry, beyond the financial impact of the group. An added benefit for those who join these health-care sharing ministries is that their participation makes them no longer subject to Washington’s individual mandate to purchase insurance, which eventually will be enforced as part of President Barack Obama’s Patient Protection and Affordable Care Act provided the federal law is not overturned in the courts. Section 1501(b) of the PPACA adds Section 5000A to the Internal Revenue Code, exempting members of a health-care sharing ministry from being required to purchase private insurance. As a man of great faith, an opponent of PPACA, and an advocate of free-market solutions to insurance issues, I support health-care sharing ministries as an option for Oklahoma consumers. But I must also make it clear that the Oklahoma Insurance Department by law cannot provide consumer protections to those who choose to participate in health-care sharing ministries. Some history on the subject might illustrate that point. Under the previous administration, the Oklahoma Insurance Department found that a health-care sharing ministry known as Medi-Share was actually operating in this state as an insurance company without license to do so. 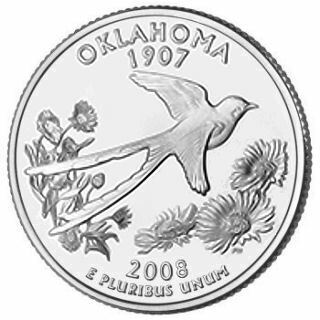 In 2008, Medi-Share was enjoined by OID from acting as an insurer in the state of Oklahoma. That same year, the Oklahoma Legislature amended the requirements of the state Insurance Code 36 O.S. § 110(11) to provide that the Insurance Department did not have regulatory powers over health-care sharing ministries. Meanwhile, Medi-Share modified its operations so that it facilitated direct member-to-member sharing of health care expenses, making its operating model compliant with the revised Oklahoma law. In 2009, Medi-Share resumed operations in Oklahoma as a health-care sharing ministry. What this means in layman’s terms is that while faith-based sharing organizations might be an option to make health care more affordable and to keep the federal government out of your family’s health care choices, you cannot bring consumer complaints to me as your Insurance Commissioner or to the Oklahoma Insurance Department for resolution. You will have to settle any potential dispute with your health-care sharing ministry on your own. Consider this as you weigh the decision to join a health-care sharing ministry. For more information on this topic or about any form of insurance in Oklahoma, don’t hesitate to contact the Oklahoma Insurance Department’s Consumer Assistance Hotline at (800) 522-0071. You can also visit us online at oid.ok.gov. OKLAHOMA CITY – Law enforcement officers across Oklahoma are joining forces for the “Drive Sober or Get Pulled Over” mobilization from Aug. 19 through Sept. 5, and Gov. Mary Fallin is supporting the campaign against impaired driving. All 50 states, the District of Columbia and Puerto Rico have established a threshold making it illegal to drive with a blood alcohol concentration of .08 grams per deciliter or higher. The annual nationwide enforcement effort focuses on impaired driving prevention with a goal of reducing roadway fatalities. In 2009, the latest year for which nationwide data is available, nearly 12,000 people died across the U.S. in crashes in which a driver or motorcycle rider was at or over the legal limit, according to the National Highway Traffic Safety Administration. Law enforcement officers will be on the lookout for impaired drivers 24 hours a day during the mobilization period, which includes the Labor Day holiday weekend. 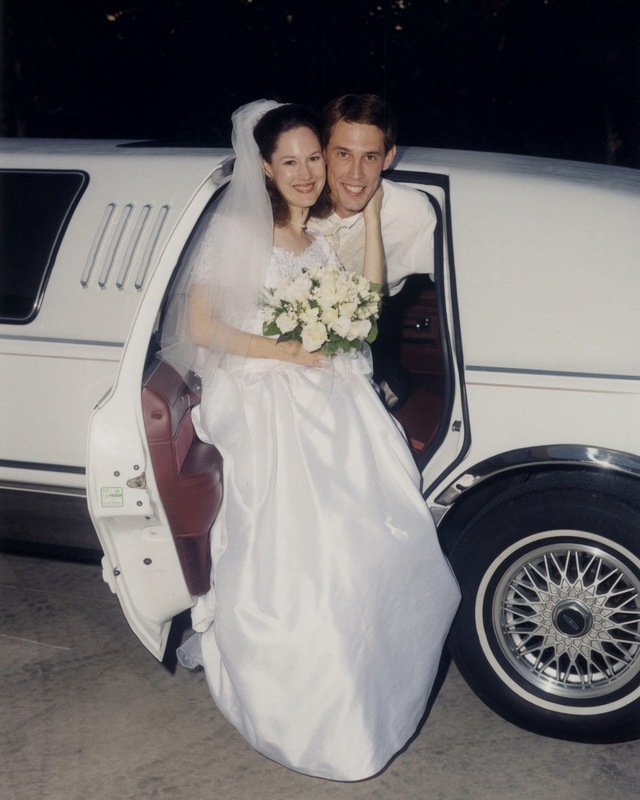 I married my beautiful wife Lori thirteen years ago today. Am I a lucky man? No. Luck can't account for what I have. I'm blessed by God to have such a wonderful woman to share my life with (including parenting duties)! I Love You - Happy Anniversary Lori! 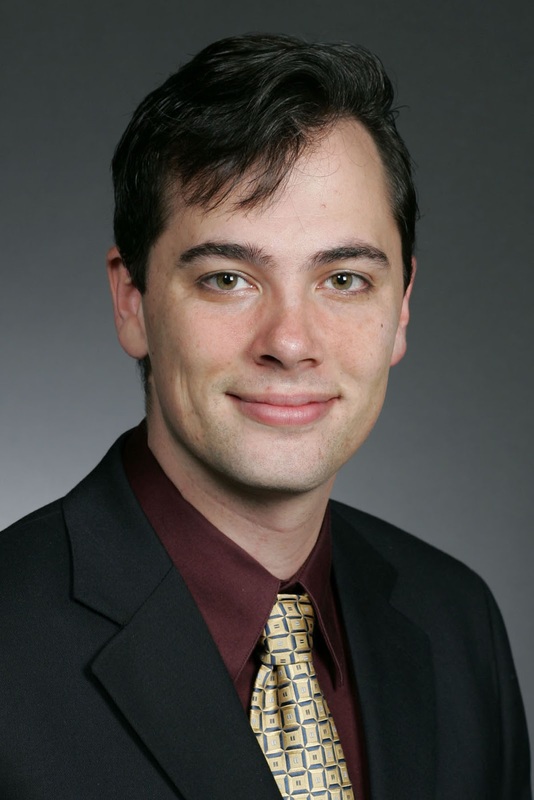 Representative Jason Murphy, a Guthrie Republican, requested the study in order to have a review of statutory exemptions granted to Oklahoma Higher Education entities. “This year, several legislators were critiquing our Government Modernization reforms based on the fact that Higher Ed had been exempted. I think some of the opposition was tongue-in-cheek,” Murphey said. He thought the members opposed to the reforms used the fact that Higher Ed was exempted in order to camouflage their real agenda. Besides examining and highlighting the number of exemptions granted, Murphey says the state Constitution comes into the picture. The Guthrie Republican says Representative Corey Holland a Marlow Republican, is also on board in support of the interim study and helped push for its approval out of the more than 125 interim study requests made this year. While Interim Study 1019 is assigned to the House Committee on Higher Education, as of this writing, no hearing on the study has been scheduled. Interim study hearings can be held Tuesdays and Thursdays, with meeting notices posted under existing posting guidelines in the House. State Superintendent discusses blended learning at recent local event in Norman. Barresi: Consider teaching approach | The Norman Transcript | http://nelsone.ws/q54vff. OKLAHOMA CITY — General Revenue Fund collections showed moderate growth in July, Office of State Finance Director Preston Doerflinger said Monday. He also announced that the deposit into the state's Rainy Day Fund will be $30 million more than originally expected. "A final reconciliation of all sources contributing to the General Revenue Fund raised the deposit into the Rainy Day Fund to $249.2 million, compared with last month's estimate of approximately $219 million," Doerflinger said. "This is really no surprise," Doerflinger said of the more moderate total growth figures. "We fully expected that the growth rate would moderate eventually, simply because collection of some revenue, such as income taxes, can vary greatly from month to month. We're still showing steady growth and I am optimistic that we can maintain that in future months." Doerflinger, secretary of finance, added: "I'm concerned, of course, by Wall Street's reaction to the debt ceiling debacle in Washington and the downgrading of our country's bond rating. 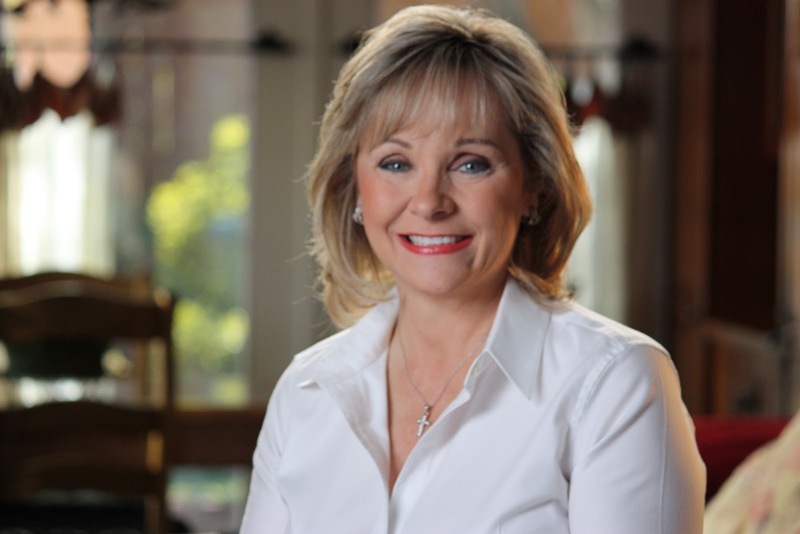 But this should not overshadow the progress we've made economically here in Oklahoma." Gov. Mary Fallin also had a positive reaction to the latest GRF figures. "Our increasing revenues further show the Oklahoma economy is on the right track," the governor said. "As we begin a new fiscal year, it's also good news to see another significant deposit into our Rainy Day Fund. Oklahoma can continue to build upon this positive momentum by pursuing the kind of pro-business policies that will attract new jobs and investment, which will lead to continued revenue growth," Gov. Fallin added. Only time will determine the direction of the national economy, which some economists argue might be headed for another downturn that could dampen Oklahoma's robust recovery from the last recession. But Doerflinger remains hopeful about the state's economic future. "Consumer confidence has been high in Oklahoma and our revenue collections have been stronger than most states for some time now," he said. "We saw pent-up demand leading to a buying spree by Oklahomans in 2011. While you could expect buying to level off this year, I see no reason for our citizens to succumb to the doom-and-gloom predictions of some economists." Doerflinger pointed out that the state's unemployment rate held steady at 5.3 percent for 2 months in a row, compared with a national rate topping 9 percent. "And unlike the systemic weakening of the manufacturing sector across the nation, Oklahoma over a 12-month period added 11,200 manufacturing jobs by June of this year," he said. "Officials at the Oklahoma Employment Security Commission and in the energy industry attribute much of the gain in manufacturing jobs to a resurgence of activity in the oil patch due to strong oil prices and improved drilling techniques," Doerflinger said. Many of the manufacturing jobs created in Oklahoma have been in the area of durable goods to meet the demands of the energy sector, officials say. "While oil and natural gas prices have also taken a hit on Wall Street, some national experts continue to forecast that worldwide demand will cause an uptick in energy prices in 2012," Doerflinger said. "That would bode well for Oklahoma, as far as state revenue collections go," he added. "But the commodity market has been known for volatility historically, and we'll be watching this area very closely in the months ahead." The higher deposit into the Rainy Day account is important in case funding emergencies develop in the future. The constitutional reserve fund was drained to $2.03 after it had to be tapped during the last recession to ease huge budget shortfalls. It had reached a record $596.6 million at one point. “I am pleased the 11th circuit ruled today that the federal government cannot force Americans to buy health insurance. “Indeed, the ruling affirms and strengthens Oklahoma's position,” said Pruitt. OKLAHOMA CITY – Governor Mary Fallin today announced appointments to the Oklahoma State Council for Interstate Adult Offender Supervision, Oklahoma Health Information Exchange Trust, Construction Industries Board, Commission for Rehabilitation Services, Polygraph Examiners Board, Board on Judicial Compensation and the Oklahoma Department of Libraries Board. Lynda Collins of Mannford is retired after serving 33 years at the Department of Rehabilitation Services. She earned a bachelor’s degree from East Central University and a master’s from OSU. Collins will serve a three year term and is replacing Ben White. His appointment does not require confirmation from the Senate. 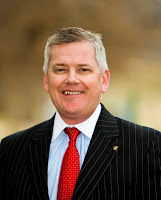 Joe Nicholson of Tulsa is the vice president and national medical director at Cancer Treatment Centers of America. He attended the College of Osteopathic Medicine at Oklahoma State University in Tulsa. Nicholson will serve a five year term and is replacing Brian Yeaman, who resigned. His appointment does not require confirmation from the Senate. “Five weeks after the statutory deadline to report on its involvement in Serenity’s case, DHS has produced essentially the same information contained in the report already issued by the Oklahoma Commission on Children and Youth. I am not convinced the DHS report tells the full story. Several questions remain, namely, what was the nature of the disagreement between Lincoln and Pottawatomie County case workers about whether Serenity should have been placed with her father? Why didn’t the courts have all the information needed to make informed decisions in Serenity’s case? I hoped this report would answer those questions and more. The report is instead mostly a chronological recounting of the bureaucratic and legal maze Serenity went through before her death. It confirms the heartbreaking fact that Serenity was put in a risky environment, but offers little explanation or analysis as to why. BACKGROUND: Serenity Deal, 5, was beaten to death June 4. Serenity was in DHS custody and had been placed in her father’s care as part of a trial reunification despite documented evidence that Serenity had been repeatedly injured while in his care in the past. Serenity’s father has been charged with her murder. An Oklahoma Commission on Children and Youth report and news reports indicate there were major disagreements among DHS officials in Pottawatomie and Lincoln counties about whether Serenity should have been placed in her father’s custody.